Diabetes is a serious condition. It can lead to life-threatening situations if left untreated. Most common acute complications of diabetes include diabetic coma and ketoacidosis and even death. Among the long-term complications, stroke, heart disease, and kidney failure and foot ulcers are the most widely seen? As you can see, diabetes is a disease which can endanger your life, and it should not be taken lightly. Here at Seattle dental care, we believe that a person’s mouth is like a window through which you can get a good look at the overall health condition of the person. We want to share a few experiences so you can correctly interpret the signals your body is sending you. Diabetes mellitus, or diabetes for short, is a global illness, with almost 415 million people afflicted. There are three main types: Type 1, type 2 and gestational diabetes. All of them are tightly connected to insulin, a hormone which regulates the metabolism of carbohydrates, fats, and protein. While type 1 diabetes is a consequence of the pancreas’ failure to produce enough insulin, type 2 is based on insulin resistance. It is because the cells cannot respond to insulin in the right way and are mostly due to excessive body weight. Gestational diabetes occurs in pregnant women. Insulin is very important for a healthy human body. It is a crucial hormone which acts as a regulator of glucose or blood sugar. The level of glucose in the blood cannot oscillate greatly; in fact, very small changes in blood glucose levels can lead to serious consequences. Diabetes patients need to be very careful and regularly take insulin shots so they can regulate the level of sugar in their blood system. But how can signs found in your teeth and your mouth be connected with diabetes? 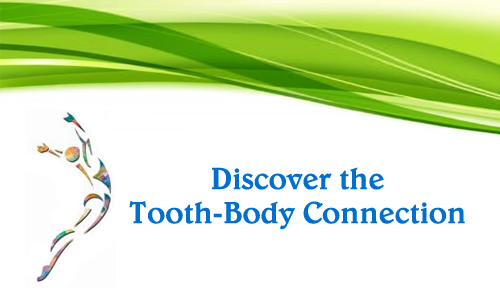 Keep reading and find out what Seattle holistic dentists have to say. One of the first symptoms you can notice yourself is an excessively dry mouth. Diabetes leads to frequent trips to the toilet, which can, in turn, lead to rapid dehydration. A dry mouth is a result of dehydration. Of course, a dry mouth can indicate much more benign issues, so there is no reason to panic. Physical exercise, various medical treatments, damaged salivary glands or even chewing tobacco – all of these cause a dry mouth. Come down to visit your Seattle dentists, and we will look into the causes of your dry mouth. Next, a lack of saliva means that your mouth does not have the necessary lubricant needed to clear away the debris after your lunch. It can lead to a build-up of bacteria in your mouth. If you feel like you have bad breath, and especially if it can be described as fruity and rotten, you should come for a check-up. We will also look for any signs of gum disease, another symptom which can indicate diabetes due to dryness of your mouth.